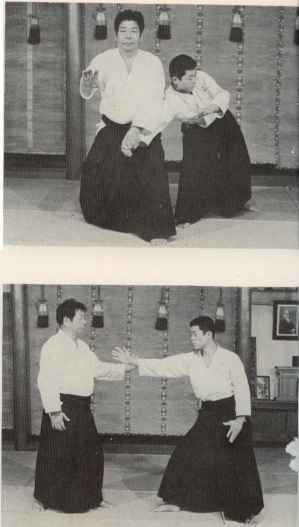 When your partner comes at you with a thrust, sweep to the rear with a cutting motion, grasp his wrist with your left hand in front of your lower abdomen so that your right hand is at the right distance for a blow to his face and execute the wrist turn-out with the aid of your right hand. 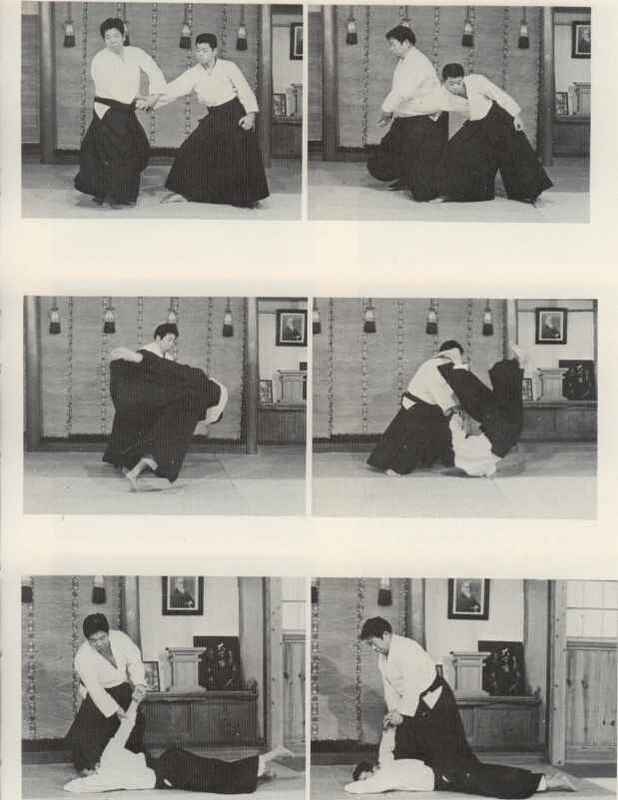 You can "finish off" this technique in two ways. 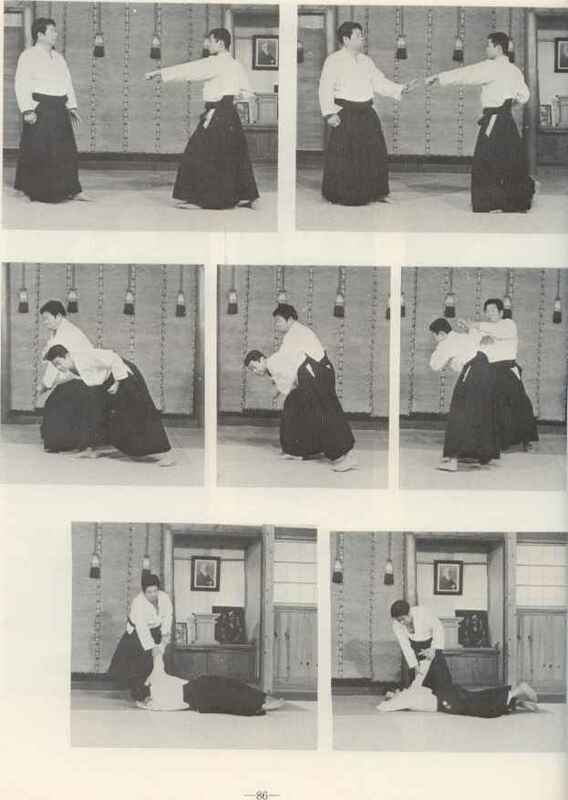 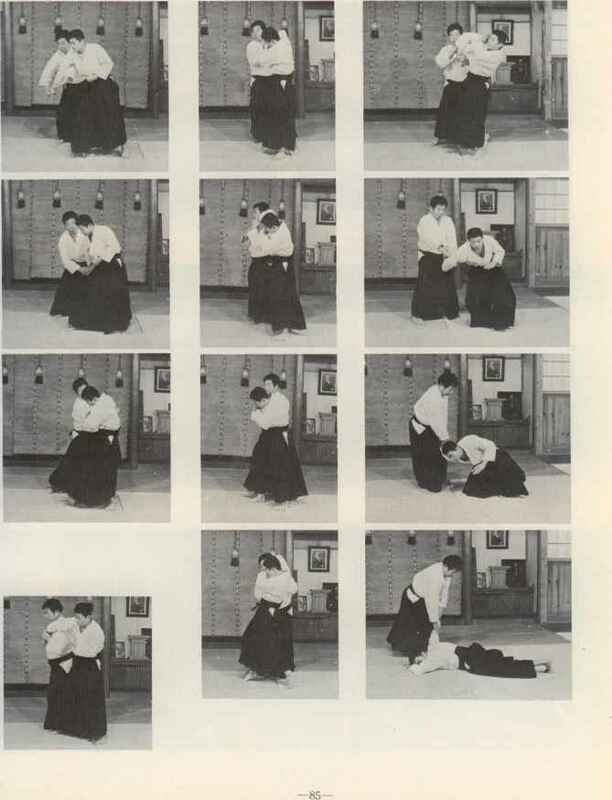 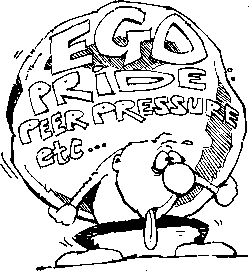 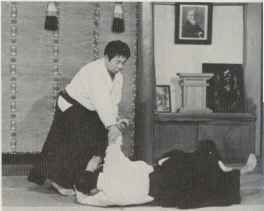 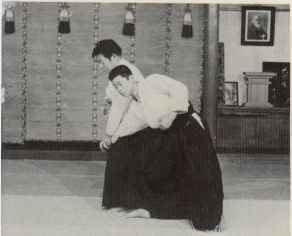 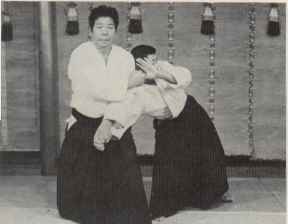 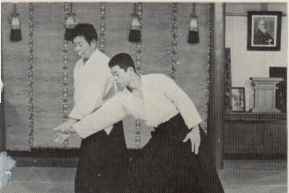 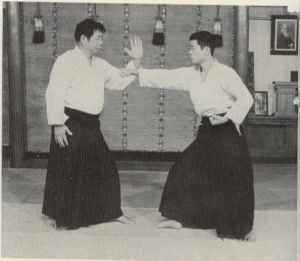 If you happened to step inside of your partner's line of attack by mistake, get out of it immediately and get on with Kote-gaeshi. 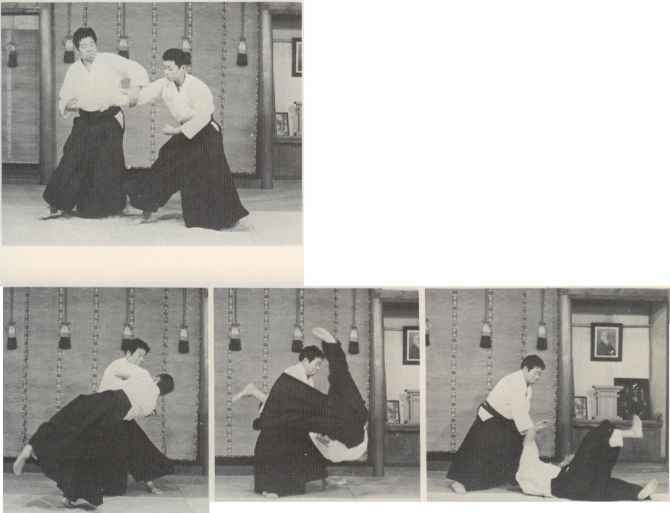 This stepping out is necessary to avoid his left-hand thrust.